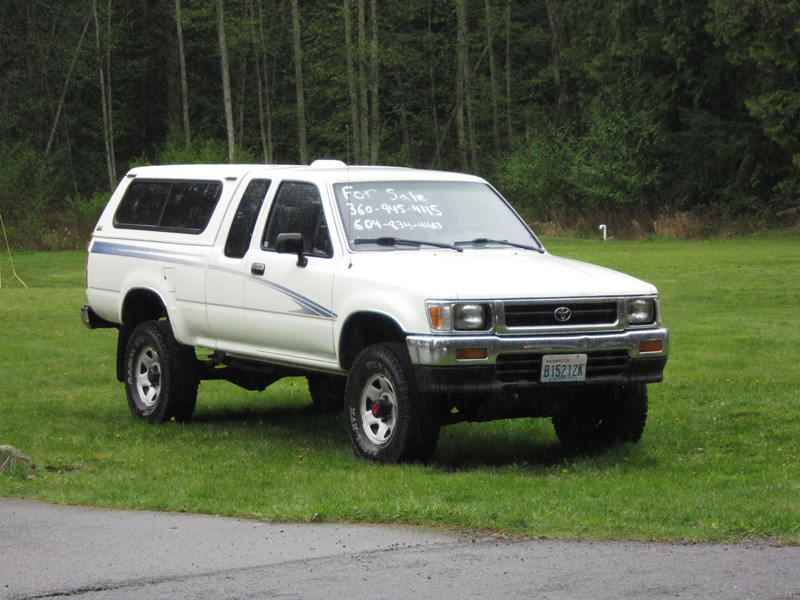 While driving around the Pacific Northwest last week, looking at boats, we spotted this nice, mid-1990s Toyota 4×4 Pickup. I don’t know anything about it except that it looks clean and stock. For a nearly 20-year-old Toyota 4×4, that’s saying something. The other interesting thing is that it’s located in Point Roberts, an odd little little piece of Washington state that’s connected to Canada, instead of the rest of the United States. The only way to get to this 4-square-mile hamlet, with its own border crossing, is to drive through our neighbor to the north or take a boat.